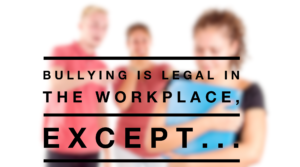 The only bullying that is illegal is if you’re being treated differently because of who you are as a woman, a person of color, because of your religion, your age, your disability, your pregnancy, or because you decline unwelcome sexual advances at work – then you are being discriminated against, retaliated against, or just treated badly – that’s all illegal. 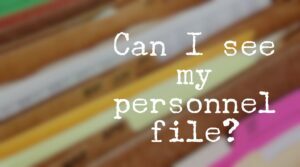 The question is – there is negative information in your personnel file at your job, and your employer won’t let you review it, see it, add to it, change it – is that legal? If you work anywhere in New York and you’re experiencing unwelcome sexual attention in the workplace, it’s now illegal, even if you work for a tiny company and you’re the only employee.